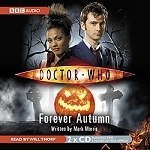 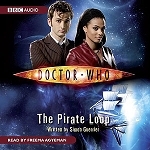 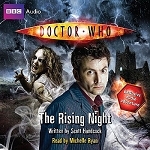 These two exclusive audio adventures feature the 11th Doctor, as made popular by the BBC America series! 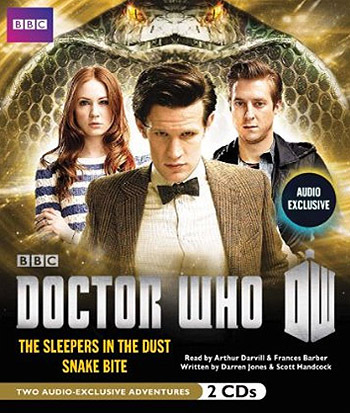 The Sleepers in the Dust: In this exciting original adventure read by a member of the cast, the Doctor and his friends battle against plague on an apparently lifeless world. 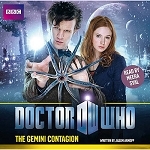 Snake Bite: The TARDIS’s arrival in a scientific research outpost in the far future spells potential disaster for the Doctor, Rory and Amy, in this original audio adventure written by Scott Handcock and featuring the 11th Doctor as played by Matt Smith in the hit TV series.